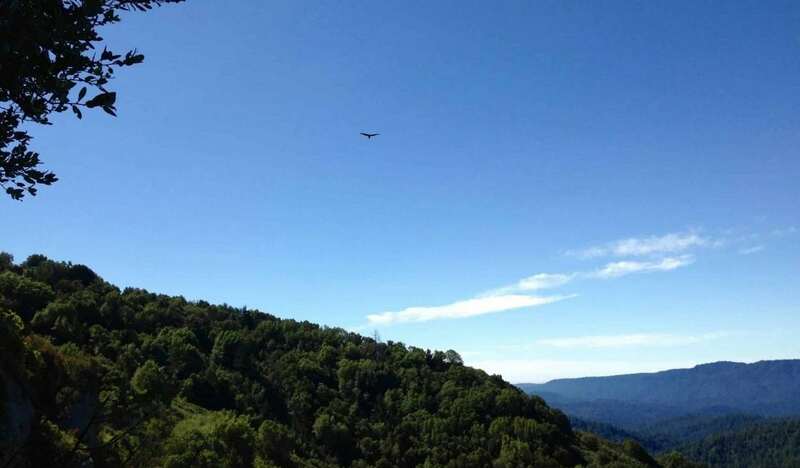 Castle Rock State Park features 34 miles of hiking trails within 5,242 acres of lush forest comprised of coast redwoods, douglas fir, and madrone. Steep canyons and unusual sandstone formations that originated as submarine fan deposits on the continental shelf 30 to 40 million years ago. It has become a mecca for rock climbers, who represent about half of the visitors annually. 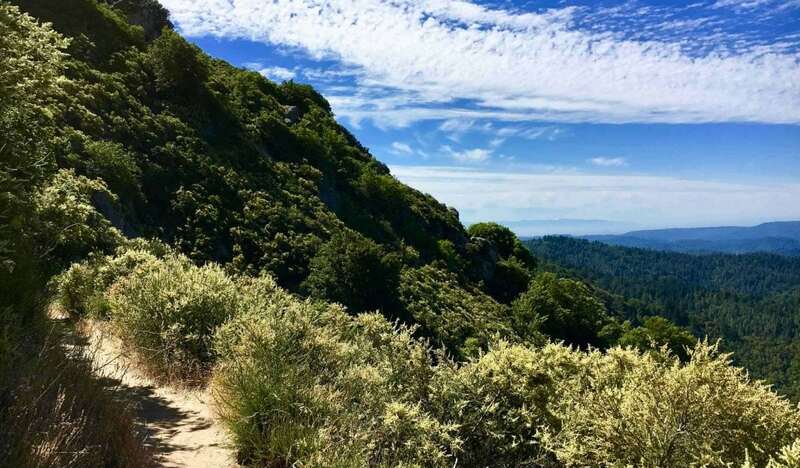 The other half are hikers, many of whom trek to the 75-foot waterfall (that is active during the non-summer months) and enjoy the magnificent panoramic view of the San Lorenzo River Valley. Castle Rock is a popular starting point for the Skyline-to-the-Sea Trail, a 30-mile trail that begins nearby at Saratoga Gap and leads to Waddell Beach north of Santa Cruz.